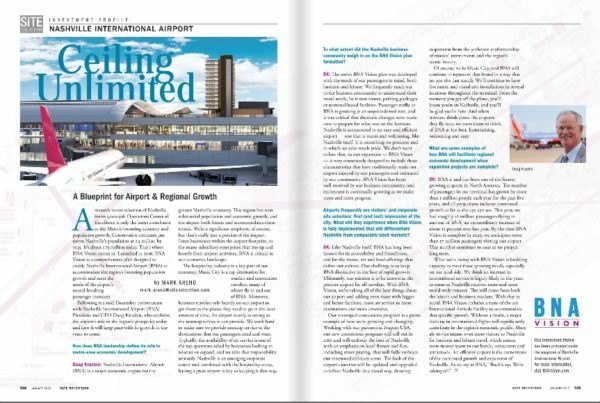 Site Selection Magazine spotlighted BNA Vision in its January 2019 issue. Speaking with BNA President and CEO Doug Kreulen, the magazine examined BNA’s impact on economic development, what the future holds for the airport and how BNA Vision will help Nashville differentiate itself in the eyes of visitors and corporate site selectors. Click here to read more.